At The World Boxing Wall (TWBW), we are determined to bring you the latest boxing news from around the world so that you only have to stop off at one website to read the news that is current in the boxing world. Our website has been created and is being run by fight fans, for fight fans to provide news, reviews and previews from the boxing fraternity. Based in the UK, we attend lots of the boxing shows which include the likes of Froch-Groves 2 at Wembley Stadium in May 2014 as well as Quigg vs Frampton in February 2016 to name a couple. Our main aim is to provide you, the fight fans, with all the news that you need to know within the world of boxing as well as allowing you to discuss your views below certain posts with other fight fans to share your knowledge. 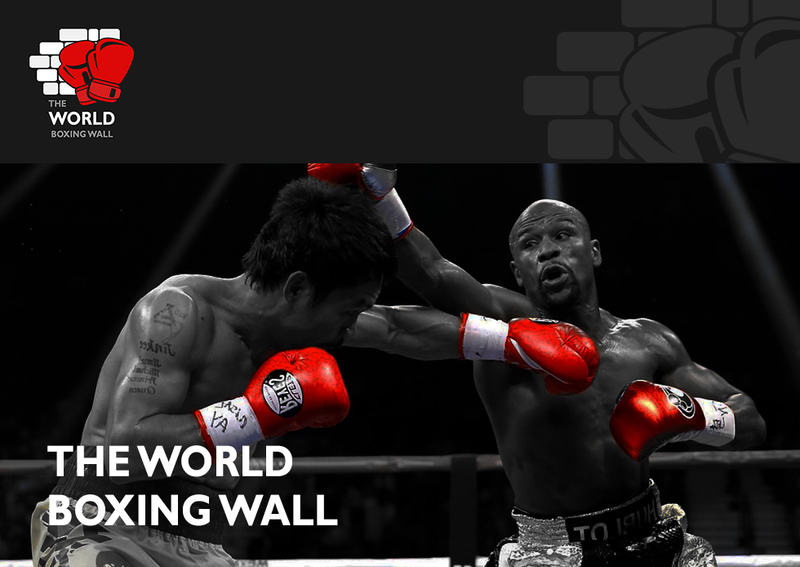 We are also extremely proud to present our own game, The World Boxing Wall Predictor Game, which allows the you to submit your predictions on certain fights in order to compete in a league where a point scoring system will be used. The player with the most points at the end of the calendar year will receive a prize from TWBW. Subscribe to our posts to get all of the latest news, previews and reviews emailed direct to your inbox which enables you to read them on the move wherever you may be. I’d personally like to thank you for visiting our website and showing your support! Don’t forget you can buy signed memorabilia and TWBW merchandise from our shop at discounted prices.